Your Lorry means your livelihood and your business, so it is of paramount importance to make sure that it (or even they) are covered. For every minute lost by not having use of your lorry, it could cost you money, so at least making sure that you have some form of compensation in place is almost mandatory when it comes to the truck-based business sector. Whether it be 44-tonne, 7.5 tonne, or in this case, 10 tonne truck insurance you’re after, the priority is just as high. Just consider the advantages of getting thorough insurance for your vehicle, or even possibly your fleet. Why Choose One Sure for 10 Tonne Truck Insurance? At One Sure, we take pride in giving you insurance cover you want, and more importantly, the amount of cover you need. Our professional sales advisors will run through every single detail of the policy with you, confirming whether it would benefit you, or whether it may be more suited to your type of cover, guaranteeing a policy that is tailored as closely as possible to your needs and requirements. Our working relationship with many of the UK’s top insurers grants us access to deals and prices that you won’t be able to find anywhere else in the market. We provide all levels of cover for your truck, from Third Party Only, to Third Party Fire & Theft and Comprehensive insurance. 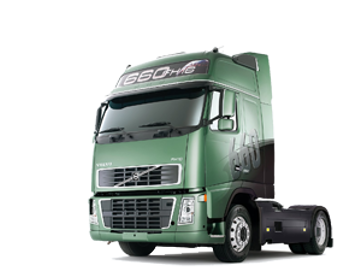 On top of that, there are various other areas of cover that can be included with 10 tonne truck insurance, such as specified Haulage insurance, of cover for carriage of your own goods. Once you take out a policy with ourselves, we do our very best to guarantee that you’re not left without assistance if you should ever need it. Our dedicated Customer Service team are open from Monday to Friday 9am until 5:30am to answer any of your questions or deal with any of your queries, and our 24-hour claims line means that you can get in touch with us regardless of the time or the circumstances. If you are still interested, and would like to speak to us about one of our well-built 10 tonne truck insurance policies, or would even like to have a quotation, please call us for free on 0800 912 0157 or try our mobile friendly number which uses normal minutes at the standard UK rate. If you do not wish to call us, but would still be interested in a quote, just fill out our simple online form and we’ll organise a call back for you as soon as we can.